There were two main areas that I wanted to focus on gaining strength in: physically and emotionally through vulnerability. In the physical sense, I feel like I have grown leaps and bounds. You can laugh at me if you want, but practicing yoga is what I credit most of my growth to. Just practicing for a little bit daily has enabled me to straighten my arms in crane pose and hang out in headstands. I ran this week for the first time in months, and was surprised at how far I could go without having trained at all. I feel like I’m in the best shape that I’ve ever been (so far). Emotional vulnerability has been a tougher type of strength for me to work on. It wasn’t really until the end of 2014 that I made noticeable breakthroughs in this area. When I was faced with hard decisions, I forced myself to reach out to some of my good friends to talk things through and hold me accountable when I made up my mind. I’m learning to be open about my struggles and that I don’t have to carry all of my burdens silently. And I’m finding that sharing my struggles has often been strengthening my friendships instead of stressing them. Coming into 2014, I felt like I had a lot of baggage I was holding onto (just take a look at the three words I chose to sum up 2013). And I was graduating from college, which brought a lot of stress and tension in and of itself. Much like emotional vulnerability, I held onto a lot of the things I wanted to release throughout much of the year. But slowly, I started letting go of insecurities, relationships, worries about what other people think of my lifestyle, and more. It’s still a continual process, but I feel much freer coming into the new year than I did in 2014. I chose this word based off advice one of my teachers at Temple gave me to “complicate yourself.” Although I finished my formal education, I strove to learn new things and get involved with initiatives that I may not have previously had time for. 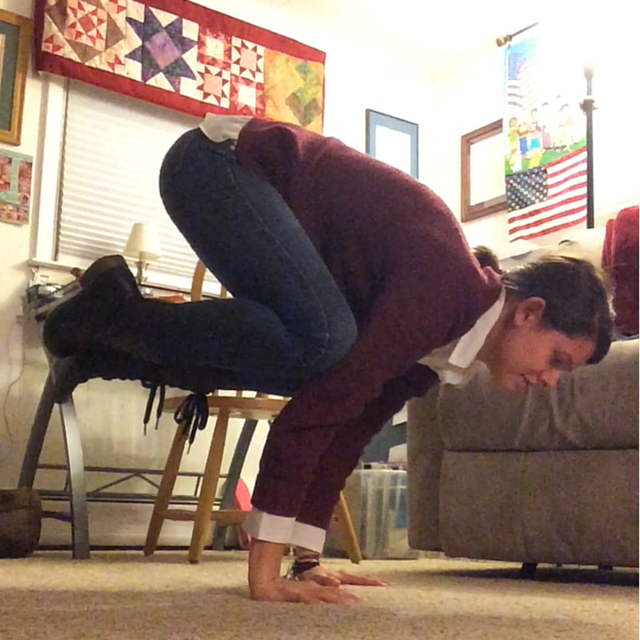 Yoga was the biggest skill/hobby I worked on this year – and one I’m planning to devote even more time to in 2015. I also got more involved in my community this past year. I started teaching English as a second language (ESL), joined Montgomery County Anti-Human Trafficking Coalition (MCAT), and volunteered for various local service projects through the small group I attend. And even though I didn’t leave the country this year, I was still able to travel, meet new people, and have new experiences.